The Repeal Movement was a political campaign spearheaded by Irish statesman Daniel O'Connell in the early 1840s. The goal was to break political ties with Britain by repealing the Act of Union, legislation passed in 1800. The campaign to repeal the Act of Union was considerably different than O'Connell's earlier great political movement, the Catholic Emancipation movement of the 1820s. In the intervening decades, the literacy rate of the Irish people had increased, and an influx of new newspapers and magazines helped to communicate O'Connell's message and mobilize the populace. O'Connell's repeal campaign ultimately failed, and Ireland would not break free from British rule until the 20th century. But the movement was remarkable as it enlisted millions of Irish people in a political cause, and some aspects of it, such as the famed Monster Meetings, demonstrated that the majority of Ireland's population could gather behind the cause. The Irish people had been opposed to the Act of Union since its passage in 1800, but it wasn't until the late 1830s that the beginnings of an organized effort to repeal it took shape. The goal, of course, was to strive for self-government for Ireland and a break with Britain. Daniel O'Connell organized the Loyal National Repeal Association in 1840. The association was well-organized with various departments, and members paid dues and were issued membership cards. 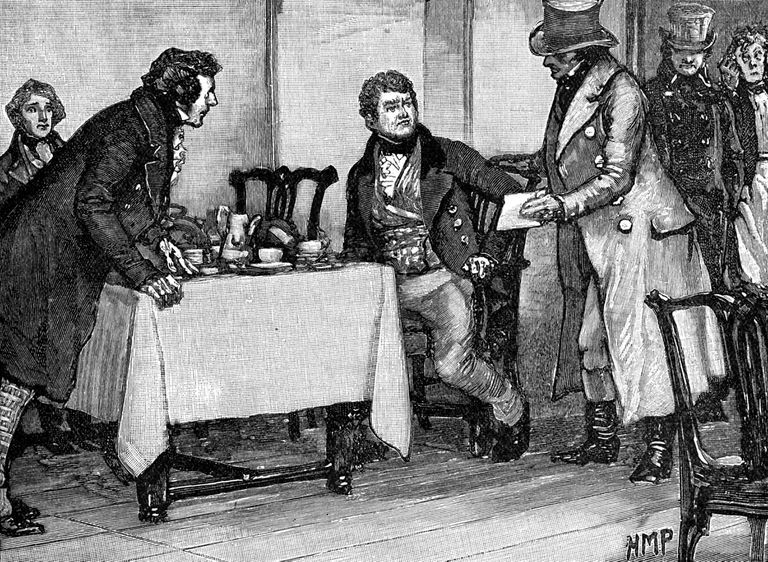 When a Tory (conservative) government came into power in 1841, it appeared obvious that the Repeal Association would not be able to achieve its goals through traditional parliamentary votes. O'Connell and his followers began to think of other methods, and the idea of holding enormous meetings and involving as many people as possible seemed like the best approach. During a period of about six months in 1843, the Repeal Association held a series of enormous gatherings in the east, west, and south of Ireland (support for repeal was not popular in the northern province of Ulster). There had been large meetings in Ireland before, such as anti-temperance rallies led by the Irish priest Father Theobald Matthew. But Ireland, and probably the world, had never seen anything like O'Connell's "Monster Meetings." It is unclear exactly how many people attended the various rallies, as partisans on both sides of the political divide claimed different totals. But it's clear that tens of thousands attended some of the meetings. It was even claimed that some crowds numbered a million people, though that number has always been viewed skeptically. More than 30 large Repeal Association meetings were held, often at sites associated with Irish history and mythology. One idea was so instilled in the common people a connection to Ireland's romantic past. It can be argued that the goal of connecting people to the past was accomplished, and the large meetings were worthwhile achievements for that alone. As the meetings began to be held across Ireland in the summer of 1843 news reports circulated describing the remarkable events. The star speaker of the day, of course, would be O'Connell. And his arrival in a locality would generally consist of a large procession. The enormous gathering at racecourse in Ennis, in County Clare, in the west of Ireland, on June 15, 1843, was described in a news report which was carried across the ocean by the steamship Caledonia. The Baltimore Sun published the account on its front page of July 20, 1843. "Mr. O'Connell had a demonstration at Ennis, for the county of Clare, on Thursday, the 15th ult., and the meeting is described as more numerous than any that preceded it—the numbers are stated at 700,000! including about 6,000 horsemen; the cavalcade of cars extended from Ennis to Newmarket—six miles. The preparations for his reception were most elaborate; at the entrance to the town 'whole trees were plants,' with triumphal arches across the road, mottoes, and devices." "A meeting was held at Athlone on Sunday—from 50,000 to 400,000, many of them women—and one writer says that 100 priests were on the ground. The gathering took place at Summerhill. Before it, mass was said in the open air, for the benefit of those who had left their distant homes too soon to attend morning service." News reports appearing in American newspapers noted that 25,000 British troops had been stationed in Ireland in expectation of an uprising. And to American readers, at least, Ireland appeared on the verge of a rebellion. Despite the popularity of the large meetings, which mean the majority of Irish people may have been directly touched by O'Connell's message, the Repeal Association eventually faded away. In large part, the goal was simply unattainable as the British population, and British politicians, were not sympathetic to Irish freedom. And, Daniel O'Connell, in the 1840s, was elderly. As his health faded the movement faltered, and his death seemed to mark the end of the push for repeal. O'Connell's son tried to keep the movement going, but he did not have the political skills or magnetic personality of his father. The legacy of the Repeal Movement is mixed. Though the movement itself failed, it kept alive the quest for Irish self-government. It was the last great political movement to affect Ireland before the horrific years of the Great Famine. And it inspired younger revolutionaries, who would go on to be involved with Young Ireland and the Fenian Movement.